While the technical infrastructure to meet these objectives is important, equally important are the management practices to enable a high-performing IT organization and a well-skilled IT workforce. A well-skilled IT workforce is the combination of people, skills, and competencies that play a role in an IT-enabled operations. Like the physical IT infrastructure, the IT organization must be well designed for its purpose and IT workers must be appropriately skilled for their roles. High-performing IT organizations must seek to maximize the skill of their employees by leveraging a robust training and development program that includes IT certification. The benefit of maximizing the skills of every employee extends to entry-level positions, too. Employers that leverage IT certifications as a qualification for an entry-level position can be more confident in the skills of the new employee. 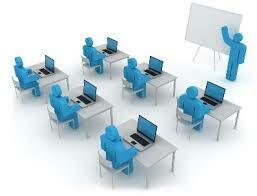 Quadtec provides customized IT and business skills training. We deliver training content in our training center or at corporate locations, enabling our customers to choose a customized training environment. Quadtec Solutions recognizes that taking the first step alone is often the most difficult part of learning something new. That’s why we offer technical training with a structured learning environment for people who want become familiar with technologies and prepare for vendor and industry certifications. Our instructor to student ratio is low to ensure each student has an opportunity to participate in an interactive learning experience. Our focus is entry to mid-level certification training. Our IT courses include Cisco, CompTIA, ITIL, and Microsoft (upon request).